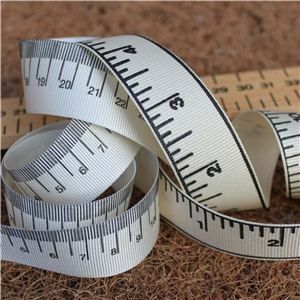 Do we measure up at Crafty Ribbons? We hope so. The custom made tape measure ribbon certainly will. Printed onto soft cream 9mm and 23mm grosgrain ribbon in either metric or imperial measurements. The design is continually printed on one side of the ribbon. We think this ribbon is unique!